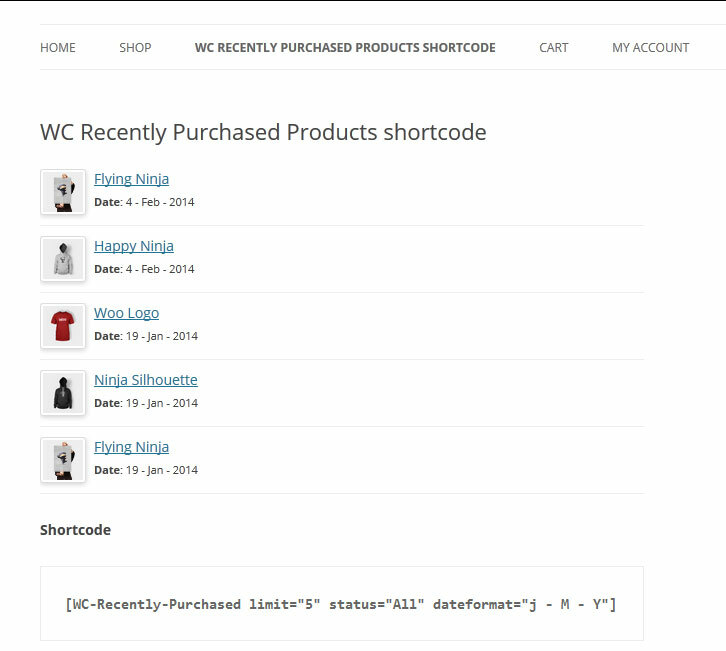 WooCommerce Recently Purchased Products plugin allows you to display the recently purchased products on anywhere of your site, with widget and shortcodes. you can also limit the No. 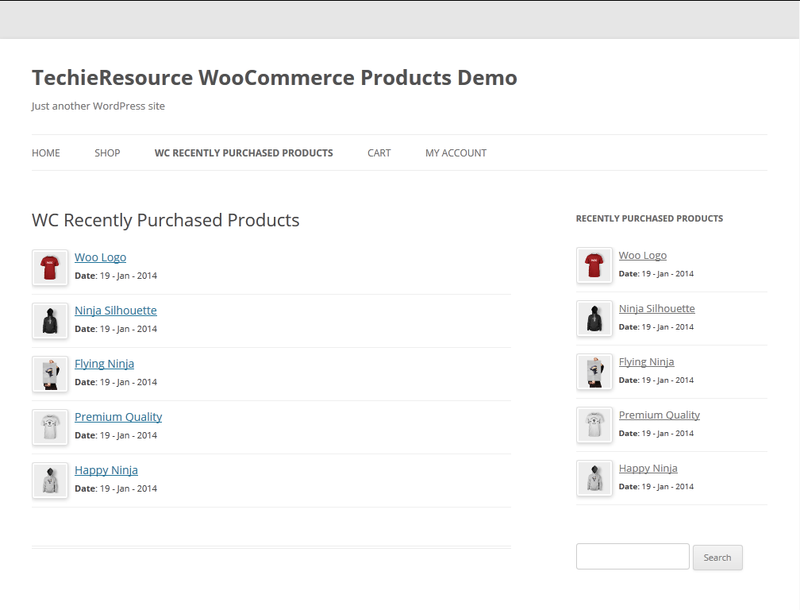 of products to be shown, on front end. Products Thumbnail, Date, Title options. No.of Products to show Option. 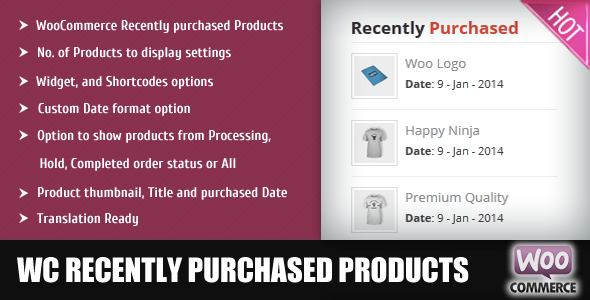 List Products From, Complete, Processing ,on-hold Order status, Or All Status. When a new visitor sees which product is being purchased recent time, it will surely motivate to take a look and go for it. 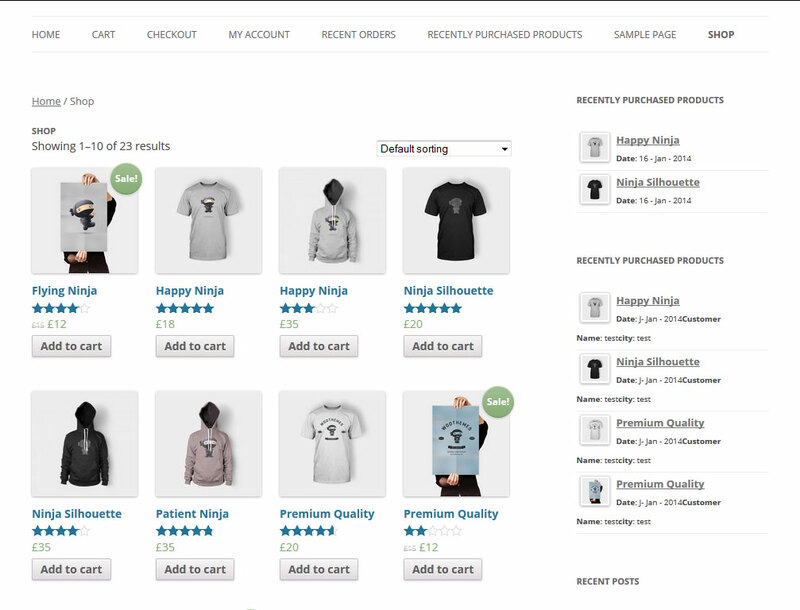 The Product Thumbnail image and its Name links to the product page so that the visitor can directly navigate to it for more information. Great plugin ! Ajax version is available for this plugin ?